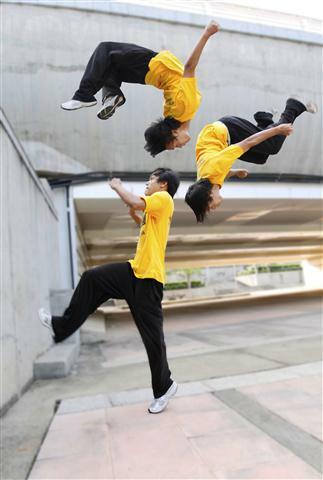 For several years parkour have landed in Malaysia, since 2002 after the famous YAMAKASI movie appeared. Teenagers started to notice this newly martial arts or some people might call them a lifestyle, an extreme sports or just the art of flight. 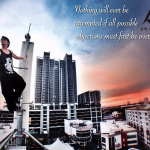 Some pioneers of Parkour Malaysia are still very active in the scene, training and meeting with the community of Parkour Malaysia. 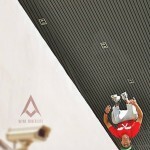 We’ll be posting stories, interesting videos and photos of these Parkour experts in Malaysia. Watch this space! New featured videos January 2014! New videos featured this month of January 2014 including the local scene videos and must-watch and not to be missed videos from all over the world! 3 SECRETS to get good precision jumps! RAHSIA mendapatkan lompatan precision yang bagus dan jauh dalam Parkour! HOW to get good and far precision jumps!